Clairvoyance refers to the ability to see things that are hidden, whether the thing is an object, situation, or past event. Specifically, clairvoyance has to do with information derived directly from an external physical source, and not from another person's mind, but the term is commonly used as a blanket term, encompassing concepts like second sight, retro-cognition, and precognition, as well as prophetic visions and dreams. The ability to clairvoyantly view objects from a distance is known as remote viewing. For the purpose of categorization here, we will use the term in the broad sense, to include such paranormal abilities as astrology, divination, psychic abilities, telepathy, extrasensory perception and remote viewing. Although considered by many as a pseudoscience, most cultures throughout history have included anecdotal reports of clairvoyance, often associated with religious figures and practices. In contemporary times, as well as in the past, there have been numerous reports from people who will insist that they were visited by a loved one who has recently died before they learned from other means of the death. While anecdotal accounts do not demonstrate proof of clairvoyance, these common experiences motivate continued research into clairvoyance. Up until the 1990s, the United States federal government funded a remote viewing project which considered the use of clairvoyance as a means of obtaining knowledge about enemy operations, and there are unconfirmed reports that similar project continue today. Clairvoyance is often divided into three main categories: precognition, retro-cognition, and spontaneous clairvoyance. Spontaneous clairvoyance refers to the ability to see an event as it is occurring, no matter how far away it is. Precognition is the ability to see events before they occur, and retro-cognition (post-cognition) refers to the clairvoyant knowledge of past events. Within these categories, additional terms are sometimes used. Clairvoyance is a general term that refers to the ability to know things beyond the normally accepted range of the senses. This may involve astrology, which presupposes that the positions of the stars and the movement of the planets have an influence on human events. It may include divination, which relates to the practice of foretelling the future, or discovering the unknown, through omens, oracles or supernatural powers. It may also involve people, known as psychics, who are sensitive to supernatural forces, or mediums, who can communicate with the dead. Telepathy, which involves the ability to communicate between two minds without the use of accepted sensory perception, is a form of clairvoyance, as is remote viewing, which is the learned ability to acquire information of events and places that are distant in space or time, including the past or future. I've always had trouble believing any of that stuff. Give me a good conspiracy theory, and I'm yours, but little old ladies reading tarot cards, crystal balls, and horoscopes never did it for me. Like many others growing up in the 1960s, I had a ouija board at one time and, on the occasions when it wasn't returning gibberish, I was always quite certain that my partner in the game was manipulating the planchette. In high school, I bought some of Carlos Castaneda's books, but I never read them. When it comes to clairvoyance, at least, I am a skeptic. I don't believe I am alone. Most people accept, almost without question, anything that our senses report to us. Yet, it is an undeniable fact that our five known senses are imperfect, and that our brains spend a great deal of time correcting false reports that it receives from our senses of sight, hearing, smell taste, and touch. For that matter, approximately ten percent of the population of the United States suffers from some degree of color blindness, in which one color is viewed as another. Even lacking a specific disorder, our five senses are less than perfect. By suggestion, people can be made to imagine that they taste or smell things that they were not exposed to. Through hypnosis, people can be persuaded that they saw things that they did not see. Optical illusions are another example of situations in which the sense of sight is proven inaccurate. Even in the absence of such manipulation, however, our sense of sight is not wholly accurate. Since the 1990s, when DNA testing was first introduced, seventy-three percent of the convictions that were overturned through DNA testing were based on eyewitness testimony. In the absence of science textbooks, our senses tell us that the earth is a fixed, immovable body. To all appearances, the sun, moon, planets and stars all move around the earth every twenty-four hours. It is only through education that we know that the earth whirls around on its axis every twenty-four hours, and that it circles around the sun every three hundred and sixty-five days, bringing with it the earth and all of the other planets. Except through long periods of research, our senses don't tell us this. When someone is born blind, or deaf, the other four senses often become heightened, as a way of making up for the deficit. Our senses are a faculty whereby we perceive external objects by means of impressions that are made upon certain organs of the body. Our senses of feeling, seeing, hearing, tasting, and smelling are the ways in which we receive information about objects outside of ourselves. Our eyes are not, in themselves, our sense of sight; they function more as a camera, while the ears receive sound waves, and so on. Evolutionists believe that the sense of touch was the fundamental sense, and that the other senses came about as modifications, or specialized forms, of this original sense of feeling. Simpler forms of life, such as plants, may have only this sense, although researchers have had difficulty interviewing plants. Taste came next, then the sense of smell developed as a modification of the sense of taste, and we know that the two remain closely connected. Hearing evolved from the simplest feeling of vibrations, and the sense of sight was the last to be developed, and it came about as an evolution of sensitivity to light. So you see, the senses of taste, smell, hearing, and sight came about through modifications of the original sense of feeling or touch. Our eyes record the touch of the light waves that strike it. The ear registers the feeling of vibrations of the air. The tongue records the chemical touch of the food coming into contact with the taste buds. The nose detects the chemical touch of fine particles of material that touch its mucous membrane. Our sensory nerves record objects that come into contact with the nerve endings that exist in various parts of the skin. All of our senses serve only to record the contact or touch of outside objects. Our sense organs are simply parts of the apparatus that receives and records impressions from outside the body, sending these messages to the bring, principally. If the nerves leading to the eye are severed, the eye will continue to register, but the messages will not reach the brain. Cut off from all of these messages, the brain would be nearly blank, as far as outside objects are concerned. Just as a cutting off of the messages coming from our senses would cut the brain off from the world, likewise, every new sense added to the list would widen and increase the brain's access to the world. Most people don't realize this, as we take it for granted that the world consists of just so many senses, and that we know all of them. How much smaller would your world be if you were to have been born deaf or blind? The answer to that question leads to the next logical question, and puts us back on topic. How much wider would the world be to you if you were to suddenly to find yourself endowed with a new sense? If you think about that last question for a moment, you will understand the attraction of clairvoyance. It's probably fair to say that the average human being has more natural senses than a potted plant. It is probably also reasonable to assume that some people have more highly developed senses than others. If we evolved from a primitive organism, possessing only the sense of touch, to a more highly complex organism with five senses, could we one day develop a sixth, or perhaps a seventh, sense? Might some people already have done so? Is it possible that we all have the ability to tap into sensory resources beyond the five senses we recognize? Moreover, we should be aware that there are more than five natural senses. For example, we have a sense of balance, which keeps us from falling over while we're walking. Our kinesthetic sense is what allows us to close our eyes and touch our nose with the tip of a finger. We're not likely to earn a living with that last one, but it's there nevertheless. Many of us recognize the sense of intuition, in ourselves or others, and most of us are able to sense the presence of other living things, even if we have not seen, heard, smelled, touched, or tasted them, although we may have attributed these abilities to something other than our natural senses. It seems reasonable to believe that these two senses may have been primitive senses, as we can see them in wild animals. Perhaps, as man became more civilized, and more secure from sudden attacks, he began to use and depend upon these senses less often until, over generations, they became atrophied from disuse, and quit sending reports to the brain. People who have been in war, or other dangerous situations, over a long period of time, are sometimes able to rediscover these senses and, to some extent, they can be taught. Might there not be other senses lurking within us that might be coaxed out, through need or through proper training? If we have attained the senses we now have through processes of evolution, is it really so crazy to believe that we might one day be gifted with additional senses. If we can concede that these abilities might be possible for mankind one day in the future, is it unreasonable to believe that some people may have achieved it now? Founded in 2000, the Chicago, Illinois center offers meditation classes, clairvoyant training, readings, hearings, and other workshops, including clairvoyance 1 and 2, a four-week program, once a week, which is a prerequisite for a fourteen-month intuitive program, an advanced clairvoyant intensive, which is a nine-month course. A calendar of courses are posted here, with details of each of it courses, fees, and online registration, as well as a list of courses conducted in various places. The focus of this site is on developing the powers of clairvoyance, building upon the concept that anyone can learn to develop a degree of skill in clairvoyance to sell training DVDs, books, and other clairvoyance products, which are available for purchase online. The site includes several promotional and informational videos and texts, as well as general information about clairvoyance, whether or not there is a scientific basis for clairvoyance, and so on. 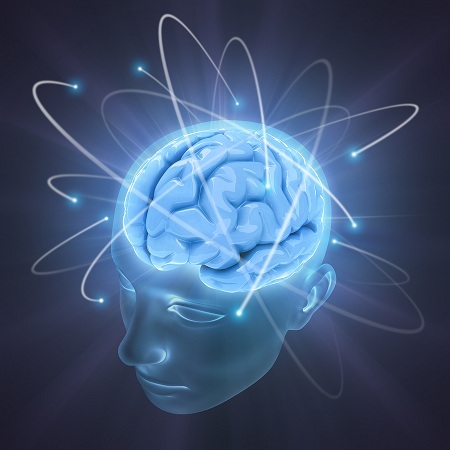 The site offers several articles about uncovering the power of the mind, as well as the science - and pseudoscience - of clairvoyance, extrasensory perception, and other altered states of consciousness, largely taking a science versus myth approach to the subject. Related topics include infrasound and paranormal activity, as well as whether psychic powers would actually cause a nosebleed. The larger site covers a variety of other topics. Founded by Carol Nicholson, Imagine Spirit is a nonaccreditd school offering free courses, as well as a certification program in mediumship and the pathways to clairvoyance, by DVD and online, which may include training in mediumship, psychic training, spirit guides and spirit attachments, the Akashic records and ghost hunting training. Certification requirements and fees are stated, and all of its courses include certification options. A list of graduates and a full list of courses are posted. The topic of extrasensory perception is reviewed here, including early research into ESP, a type of parapsychological research, conducted early on by Joseph Banks Rhine, who is credited with first using the acronym ESP to describe the phenomenon, and who spent the greater part of his life studying ESP. Other topics include the use of Zener Cards, named for Karl Zener, who developed the ESP research tool. More recent studies on the subject are also included. Psychic abilities allow the bearer to employ special means of detecting things that couldn't otherwise be detected, and clairvoyance is a specialized form of psychic ability. Such terms are explained in a variety of articles on a variety of topics related to clairvoyance and psychic powers, such as how to determine whether they exist, what equipment might be necessary or helpful, a list of well-known psychics, mind over matter, psychic hoaxes, psychic studies, and other paranormal subjects. Often bundled under the umbrella of extrasensory perception, telepathy, clairvoyance and precognition are often discussed together. Their specific definitions and a discussion of each are presented here, along with information on psychokinesis, psychic healing, dowsing and divining, and the psychic power of dreams. Historical examples of each are given, including skeptical views as well as supporting views. Made up of a worldwide association of psychic readers, the Guild offers psychic readings about life, love and success, with immediate answers to questions that may be asked by email or telephone. Profiles of their readers are available online, allowing clients to choose a specific psychic reader, or they may call and choose to speak to the next available reader. The site includes information about astrology, horoscopes, dream interpretation, numerology, tarot reading, and several other topics. Search for Clairvoyance on Google, Bing, or Yahoo!